Edinburgh-based TV advertising analytics firm TVSquared said it raised another $8 million in funding to support its expansion. To date, the firm’s equity funding totals more than $21 million. TVSquared also has offices in London, New York and Los Angeles and recently expanded into Munich with its purchase of wywy. The latest round was led by private equity partnership West Coast Capital and supported by existing investors including the Scottish Investment Bank. 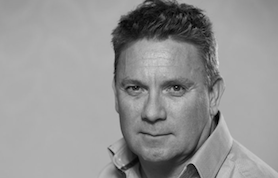 Calum Smeaton, CEO and Founder, TVSquared said: “TVSquared gives advertisers a deep understanding of TV’s business impact. “We help our rapidly expanding client base hold TV accountable by uncovering exactly how ads drive real-world response. TVSquared chairman Chris van der Kuyl said: “On behalf of the board, we are delighted at the close of this latest round of funding, which will fuel TVSquared’s global growth. Paul Davidson, Partner, West Coast Capital, said: “In the two years we have invested in TVSquared, it has established itself as the premier provider of TV advertising analytics for brands, agencies and networks. “Its technology, vision and team are world class, and we look forward to seeing it continue to innovate the way TV can be used as a marketing channel. Jennifer Metcalf, Director of Global Media, GoDaddy: “With TVSquared, we measure and optimize our TV investments in the same way we do our digital buys. “We know exactly what aspects of the buys are performing, and have the insights to make quick changes to maximize response.